For lovers of surrealism and art - Enter the mind of Salvador Dali, in an art exhibition dedicated to the surrealist master. 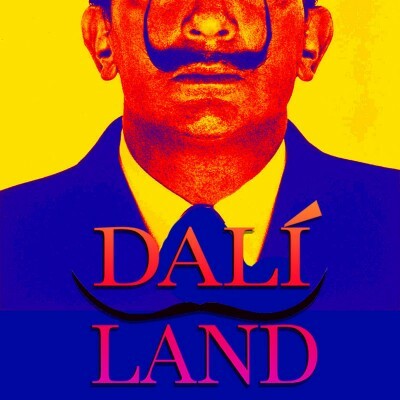 Featuring a handful of his original works as well as a host of drawings, sculptures, film, graphics, photography from Dali and other surrealist artists. 'Unconscious Contemporary' is a secondary exhibition featuring contemporary surrealist and esoteric artists alongside historical work by Max Ernst, Jean Cocteau and Man Ray. Strap into our Dali virtual reality experience to walk through the Maestro's key paintings, or take a peek at our DaDa cinema featuring various surrealist films. Late night visitors can relax in the Surrealist Salon rooftop bar open from 10pm for special Dali-inspired cocktails, music, food and a host of other happenings designed to rattle the unconscious. This exhibition is all ages, and children under 4 are permitted for free. While the venue is accessible and we wish to create an inclusive environment for all, due to logistical issues a number of stair cases will be required to view the full range of works. As part of the Buratti Group, Creative Nation presents and develops a range of touring exhibition concepts throughout Australia, Indonesia and Singapore, working alongside some of the art world's biggest names.